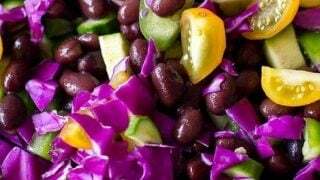 There are some recipes that aren’t really recipes, but fresh ingredients thrown together in a moment out of desperate hunger and a desire to eat healthy despite the lack of willingness to cook. Those combinations usually end up being some of my favorite dishes- staples I eat time and time again. 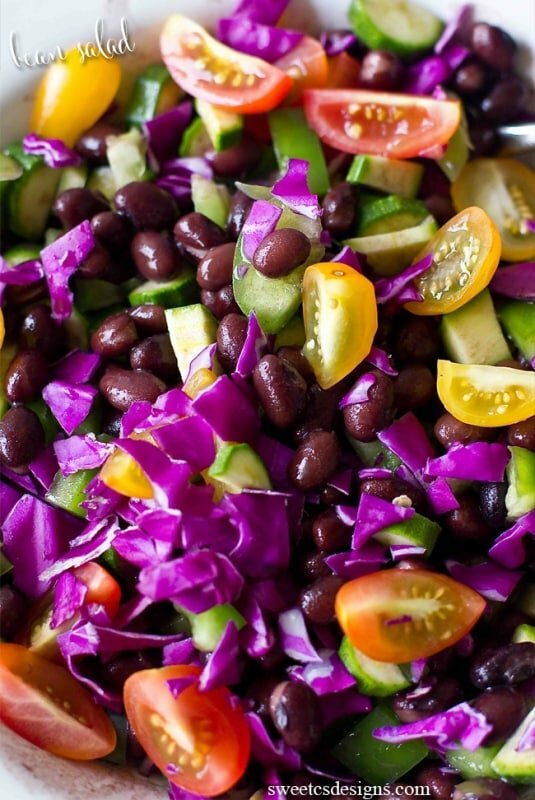 And this Black Bean Salad is one of them! Quick, easy, fresh- and can be eaten on it’s own, tossed in tacos or burritos, baked into a casserole, thrown into a stew. This recipe is a fabulous base for so many dishes, I hope you love it as much as I do! 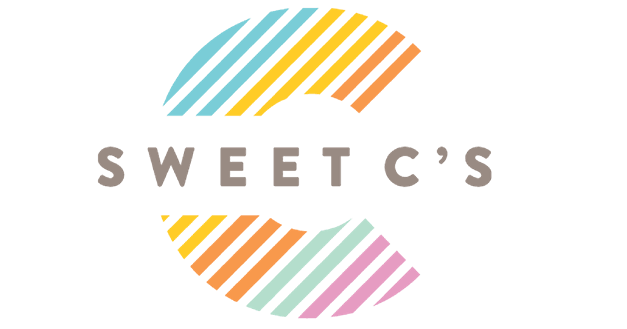 Once you try out the flavors I combined here, you can add some of your own favorites. Kick it up with diced habaneros, mix in some crumbled queso fresco, top it with chili, or mix into an enchilada! I prefer the veggies raw in this version- but if you find you have tummy troubles with these, I’d cook the onions, peppers and zucchinis and toss with the other ingredients. If you’d like to up the protein, I’d add pinto beans. 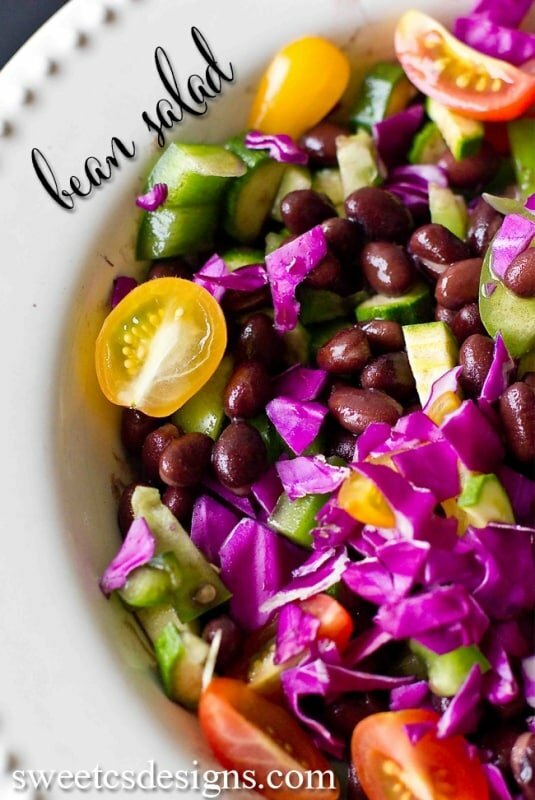 You can also add browned ground beef or chicken/beef fajitas to substitute the beans and make it paleo-friendly. 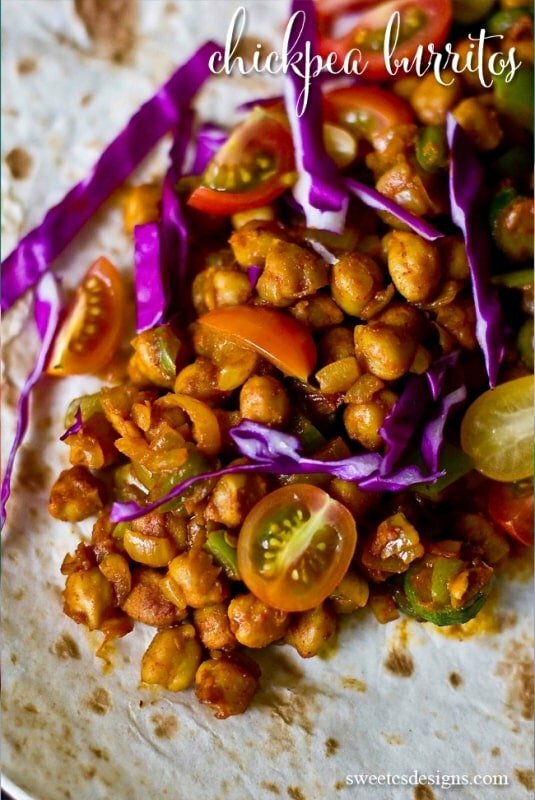 This salad also incredibly delicious in this vegan chickpea burrito!